See our What’s On Section for more details of other upcoming talks. On Sunday 14th October (10am til 4pm) Dinosaur Isle will be hosting Discovery Bay, an event for Biology Week & Earth Sciences Week. Become a Bayologist and celebrate National Biology Week and Earth Science Week with a day stuffed full of life science activities for all ages. Try out the powerful microscopes, sieve for life in the soil, fire up the mighty bug hoover, dip for pondlife and fill up our wildlife aquarium, and marvel at the mole-in-a-jar! It’s a free event and sounds like lots of fun, so tell your friends and family to head to Dinosaur Isle between 10am-4pm on Sunday 14th October. This Saturday (29th September) sees the return of Dimbola Museum and Galleries‘ Islander discount day. You can visit this fantastic museum and see all their latest exhibitions for just £2! (Don’t forget to take proof of Island address). There’s always lots to see and when you’ve finished looking around the galleries, head down to the cafe for a great selection of tea and cakes. Coming up in a couple of weeks, Isle of Wight historian, John Medland – who some of you may have heard talking about Isle of Wight Hidden Heroes earlier this year – will be giving the 26th Richard Hutchings Lecture. The talk takes place in Julia’s Tearoom at Dimbola at 4pm on Friday 12th October. Donations to the Julia Margaret Cameron Trust will be appreciated. 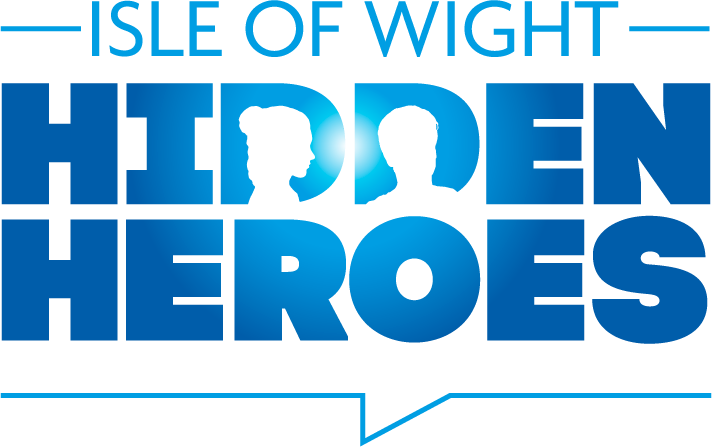 This Saturday (22nd September) is your last chance to see the brilliant Isle of Wight Hidden Heroes exhibition at the Classic Boat Museum Gallery in East Cowes. Ever since the waters rose and created the Isle of Wight, Islanders have depended on the sea for food, transport, defence and leisure. 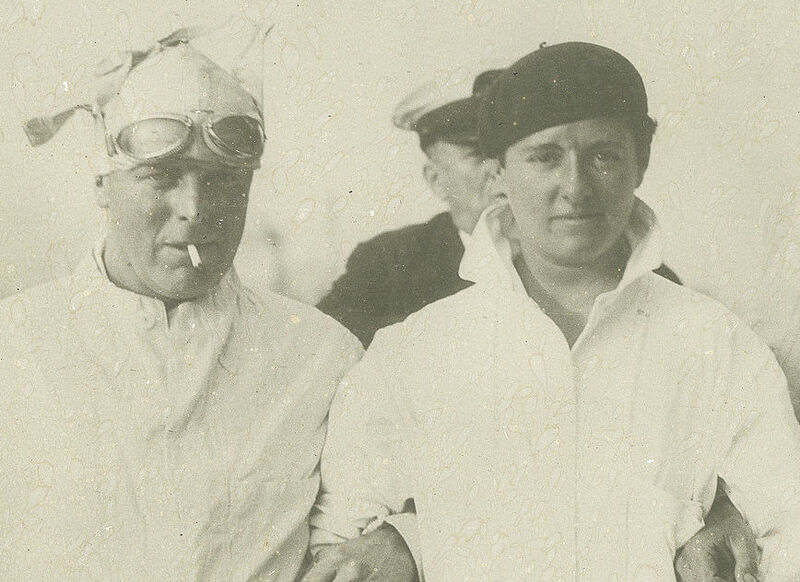 Of the many maritime heroes linked to the Island, the Classic Boat Museum’s exhibition celebrates less well-known individuals who have made a significant impact on the maritime heritage of the Island. The Galley on Columbine Road, East Cowes will be open this Friday and Saturday between 10am – 3.30pm. Some fantastic research work was carried out to pull the Hidden Heroes exhibition together, and it’s well worth a look before it goes. 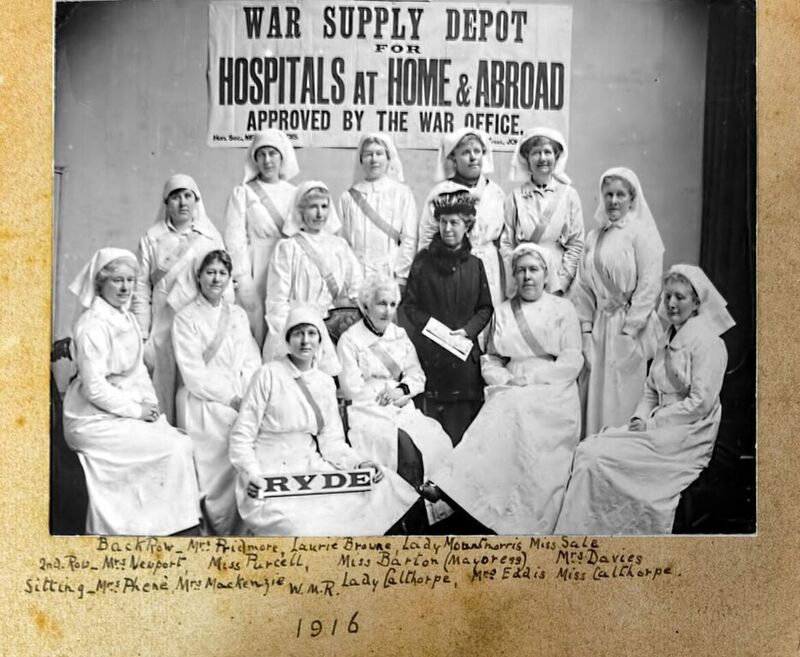 The Boat Museum’s Hidden Heroes exhibition will be making way for a new exhibition opening on 20th October about WWI. More details of that to follow. Alfred, Lord Tennyson (1809-1892) was the most famous poet of the Victorian era, renowned for his dramatically powerful subjects and highly-wrought melodious style. Among his most celebrated works are ‘The Lady of Shalott’ (1842), ‘Ulysses’ (1842), In Memoriam A.H.H. (1849), ‘Charge of the Light Brigade’ (1854) and Maud (1855). Tennyson often took inspiration from Classical and Arthurian mythology, and frequently explored death, loss, desire, the passing of time, and the dilemma of whether to withdraw from or engage with the world. Such was the acclaim for In Memoriam, that Tennyson became Poet Laureate on the death of William Wordsworth in 1850. An epic and painfully personal poem about Tennyson’s grief on the sudden death of his best friend, Arthur Hallam, it came to represent an age of mourning, particularly in the wake of Prince Albert’s death in 1861. 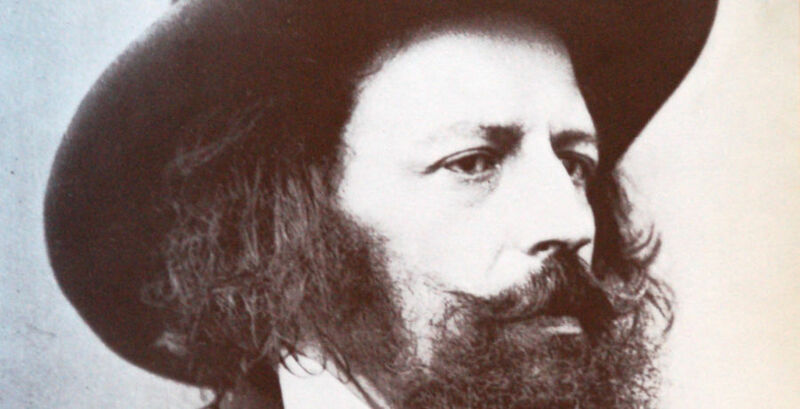 Having become an icon of Victorianism, Tennyson was made a baron in 1883. He had come a long way from his origins as the son of a Lincolnshire reverend. To find out more about Alfred, Lord Tennyson visit the Farringford Website. This Saturday you can walk in the footsteps of one of our Isle of Wight Hidden Heroes, dinosaur hunter, Rev William Fox. Meet at Dinosaur Isle for a 10am start of a two hour walk along the surf-line to Culver Cliff foreshore, returning along the upper foreshore. Learn about the different environments recorded in the geology of the cliffs over a 40 million year time span. Organisers advise taking along a drink, chocolate or other supplies. Booking is essential so call 404344 (£5 Adults, £4 children, various concessions). An important part of the Isle of Wight Hidden Heroes Project (kindly funded by Arts Council England) was to open up the Island’s museums and galleries to a wider audience – To be able to reach those who might not have stepped inside a museum since their childhood, or perhaps those who are unsure of what they might find behind the imposing entrance doors. Thanks to the wonders of 360 degree photography, we’re now able to provide virtual tours of many of the participating venues – with more being added in the next few weeks. Pop over to venues page to explore inside Carisbrooke Castle Museum (and Princess Beatrice’s Garden), the Classic Boat Museum Gallery and newly opened Boat Shed, County Record Office, the Museum of Island History at Guildhall, Newport Roman Villa and Quay Arts. Taking a tour is as easy as using Google Streetview. Click into the photo, hold and move around looking up down and around. Click on the large arrows to navigate through the venues. Some are on several floors, which you’ll see indicated on the right-hand side of the screen (1st and Gnd). We hope you enjoy the tours. With few neighbours, he lived alone, writing daily to his favourite daughter, ‘Polly’ and giving a fascinating insight into the 18th/19th century, Isle of Wight. His Isle of Wight story is told on Jan Toms’ Website. If you were lucky enough to make it along to the major Isle of Wight Hidden Heroes exhibition at Quay Arts earlier this year,King Arwald at Quay Arts you’ll have seen the very striking artwork by Island artist, Nigel George, created in response to our Hidden Hero, King Arwald. We absolutely loved this artwork, not simply because of how it looked (which is fabulous), but because of how it was created – using the latest 3D modelling technology, some old newspapers and blue slipper clay. Well, you’ll be pleased to hear that King Arwald was not packed away in a dark and dusty corner, but has found a welcoming new home at the excellent Newport Roman Villa. You can pop along now to see Arwald sitting among his Roman peers. If you wait until Saturday 28th July, you can also take part in the Archaeology Day event at Newport Roman Villa. This is a free, entry-drop in event running between 11am and 3pm. Take along your archaeological finds along to be identified and meet expert archaeologist, Frank Basford, from the Portable Antiquities Scheme. Frank has a wealth of knowledge and experience and really knows his stuff! There’ll be plenty of fun for families too, with sand pit excavations and even a photo hunt. Captain Ibbetson (1799-1869), English explorer, soldier, geologist and inventor, was an early experimenter in photography. When making daguerreotypes he pioneered the use of limelight to reduce exposure times, and was able to produce lithographs from daguerreotypes. One of these lithographs was of a collection of fossils found in the Lower Greensand on the Isle of Wight, including a large heteromorph ammonite. He exhibited work at the London Society of Arts. 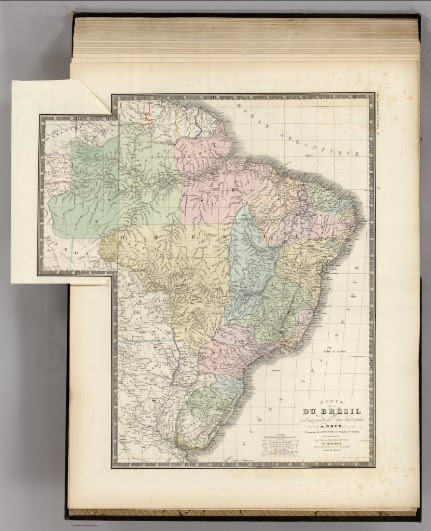 During the 1840s he was involved in geological mapping for the new railways. He found the head of a large fossilised Hybodus shark skull on the Isle of Wight – this was sent to Sir Philip Malpas de Grey Egerton and it was discussed in the 1845 Proceedings of the Geological Society. Together with Edwin Lankester he wrote a book ‘Notes on the geology and chemical composition of the various strata in the Isle of Wight’ published about 1852. He worked with Professor Edward Forbes to publish a description of the Lower Greensand geology between Atherfield Point and Blackgang on the Isle of Wight. Gideon Mantell (who was credited with naming the large Iguanodon dinosaur found on the Isle of Wight) drew a sketch of Captain Ibbetson, engaged in a duel while both participants were carrying shields fashioned after extinct trilobites. Captain Ibbetson was one of a breed who had an interest in everything, and was able to use photography to make public his interest in geology. Although he wasn’t from the Isle of Wight, his early exploration of the south-west coast is credited as forming part of the great 19th century scientific resource we use today, and his experiments in photography have gone largely unrecognized.